Teaching the Canoe Over Canoe Rescue. Our Canoe and Outdoor Skills Camp is a day program offered to children ages 9 and up during the summer. The camp takes place at the Rotary Waterfront Park in Penetanguishene and Little Lake Park in Midland for four days of canoe skills, then one day of pottery and outdoor skills at our base location in Thunderbeach, Ontario. 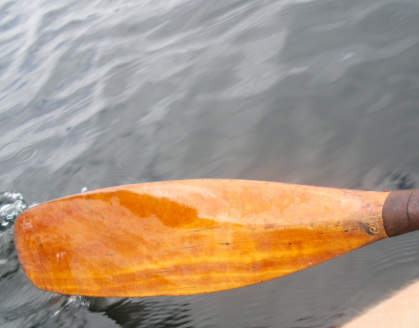 For the 2014 summer season, we will be offering Canoe Tripping Level 1 Certification to campers aged 11 and up. This will run simultaneously with Session 1 regular camp July 14-18th and on the Friday we head out for an overnight canoe trip. own lunch, snacks and drinks.
. TUESDAYS are pottery, outdoor skills, crafts days at Thunder Beach location.